The annual Groundhog Day festivities have their origin in the superstition that if a groundhog emerging from its burrow on February 2 sees a shadow due to clear weather, it will retreat to its den and winter will persist for six more weeks. If it does not see its shadow because of cloudiness, it is said that spring will arrive early. "Stop the music. Here is my forecast. Faithful followers, there is no shadow of me. 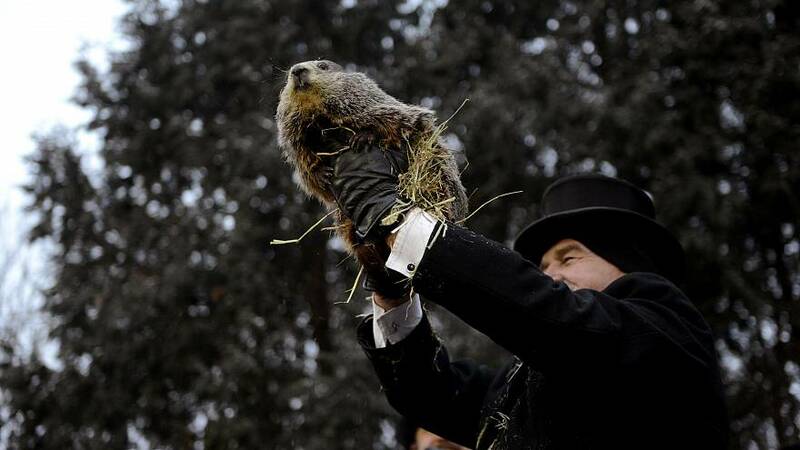 A beautiful spring it shall be!," said a statement read on behalf of 'Punxsutawney Phil’. The event draws thousands of people every year, and has grown in popularity since the release of 1993 comedy film “Groundhog Day”.